Rock.It Boy Entertainment proudly presents JESSE COOK: ONE WORLD Tour 2015 on Monday, September 28 at the Hub International Theatre at the Chilliwack Cultural Centre, 9201 Corbould Street, Chilliwack. Tickets are just $42.50 (Plus Facility Fee & Service Charges) at Centre Box Office. Charge by phone at 604-391-7469 or online at www.chilliwackculturalcentre.ca. For JESSE COOK, music has been a journey, both sonically and literally. After two decades of crisscrossing the world in his restless pursuit of inspiration, innovation and collaboration, this virtuoso changed course for his ninth studio album One World. Rather than exotic locales, he stayed home in his studio. Rather than a foreign legion of performers, he relied on his own devices. And rather than exploring myriad cul-de-sacs of music he united them. The album pivots between worlds — past and future, familiar and fresh, acoustic and electronic — redefined by technology just like every element of modern life. The album cover, depicting a vast, ancient tree, personifies the content. We are all part of just one world and all music represents branches of a tree all joined to the same deeply rooted trunk. Despite its humble homemade origins, One World begins another chapter in the quest of this multi-tasking artist, composer and producer. To create the disc’s emotive melodies, fluid grooves and rich sonic tapestries, Cook incorporated technology more than ever before. The result is a perfect meshing of the personal hybridized stylings of Jesse himself with modern instruments in a modern context. Cook’s vast and varied catalogue has earned 11 Juno nominations including 3 in 2001 of which he was awarded Best Instrumental Album for 2000’s Free Fall. To date, 5 of 8 albums have earned Gold Record status and 2 others Platinum. This is certain to be another unforgettable evening with this Canadian Superstar as he continues to explore the constantly evolving One World of beautiful music. For more on JESSE COOK and his ONE WORLD Tour 2015 visit www.jessecook.com. Rock.It Boy Entertainment proudly presents JESSE COOK: ONE WORLD Tour 2015 on Monday, September 28 at the Hub International Theatre at the Chilliwack Cultural Centre, 9201 Corbould Street, Chilliwack. Tickets are just $42.50 (Plus Facility Fee & Service Charges); available at Centre Box Office. Charge by phone at 604-391-7469 or online at www.chilliwackculturalcentre.ca. Doors 7:00PM. Show 7:30PM. 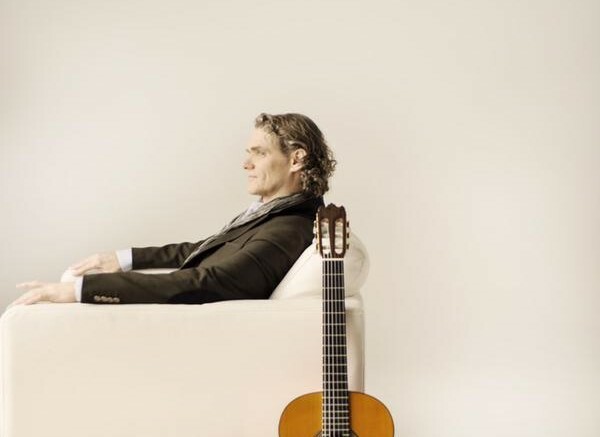 Be the first to comment on "Jesse Cook – Chilliwack Cultural Centre – September 28"